Fun Summer Cocktails Around Town! Our guests often ask us where to go to have a great drink. Well, in response, we have put together the short list of our favorite spots around town where the bartenders are true “mixologists” creating awesome and unique cocktails. We can steer you toward the finest summer wines and the coldest beers. 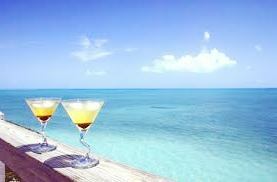 If you are looking for advice on how to get your “beach libations” on, we’ve got the answers! The Surf House Café is serving a seasonal Mojito Sparkler that is crisp and refreshing. This drink echoes the clean simplicity of their menu. When we visit Canape in Wilmington, we highly recommend the “Canape 1” as an aperitif. This is not your Grandfather’s Old Fashioned: a mix of bourbon, grand marnier, sweet vermouth and fernet. While you may not look to a bakery for the best drinks around, don’t knock it until you’ve tried it! 9 Bakery & Lounge serves one of the most interesting Old Fashions in town, infused with the flavors of clove, honey, apple and vanilla. For the wine connoisseurs out there, we like to recommend two of our favorite wine shops. The Wine Sampler and Wilmington Wine. A recent great find for summer wine is Pink Jug. This 2013 rose’ wine is a beautiful blend of Cabernet, Sangiovese and Syrah grapes produced by Pianetta Winery. We also recently enjoyed the raspberry and cherry notes of the 2012 Point North Pinot Noir by Sean Minor. We encourage you to take advantage of the wine tastings offered at each of these stores to find a blend that tantalizes your taste buds. There is nothing quite like a cold brew to quench your thirst and we are happy to say that Carolina Beach has a great selection of craft beers to get the job done. We are excited that Good Hops Brewery has opened for business and started brewing! Next we are looking forward to the Riptide Taproom & Grill that will have a wide selection of local and regional beers on tap. Keep in mind that you can always stop by the Veggie Wagon for a growler fill! If you are simply looking for cans to drink on the beach, the Brew Thru has a vast variety of specialty and standard beers to choose from. We recently enjoyed the Amber Valley Summer Solstice Beer and there are plenty of others on our list to try! As we mentioned, this is the “short list” of favorites…you will have to come visit with us to get more insider info!